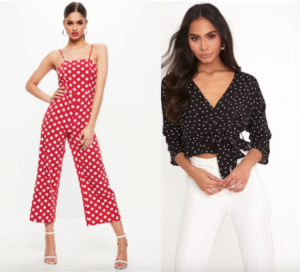 Polka dots are having a huge comeback and are a spring must – after seeing the trend on the catwalks of Dior and Loewe, we need to get our hands on this must-have look. From dresses to trousers you can dress polka dots up or down to rejuvenate your style. Keep your style on trend by putting your puffer coat away and adding a blazer to your outfit – pair it with a floral dress or a simple outfit to create a casual chic look. The ‘it’ dress of 2018, this flattering cut is perfect for spring. Diane Von Furstenberg shot to fame for her wrap dresses and it’s the trend that keeps coming and going – but it seems this season that it’s here to stay. With so many styles to choose from, it’s time to channel your inner Diane this spring. You’ve got the perfect outfit, now its time to accessorise to take your outfit to the next level. 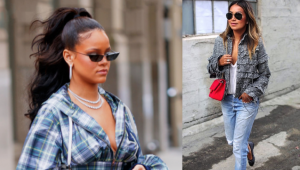 This season it’s time to throw out your oversized sunglasses and swap them for their smaller friends – tiny sunglasses are all the rage with influencers and celebrities alike, and coming in a range of styles you can block out the rays while looking great. Also, adding a statement bright bag to a simple outfit will transform your look to suit the sunshine, try red or yellow to add a pop of colour. Which looks will you be going for this year?